Journeys around the Lakes discussing features and attractions of each area, as well as people, industries, legends, traditions. New info on Beatrix Potter and Fletcher Christian. Herdwick sheep and Patterdale and Lakeland terriers also discussed. 220 pages in glossy soft cover, illustrated with b&w photos. Full of new info and interesting features. 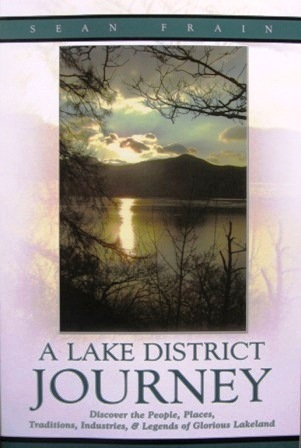 Providing a fascinating insight into all that the Lake District has to offer the visitor. 'Great value for money' - The Countryman's Weekly. 'He's really got into the nooks and crannies of the area, such a good read,' - Brian Little on Amazon. 'Wainwright and Frain, put them both in your backpack,' - Allie on Amazon. 3 five-star reviews on Amazon. 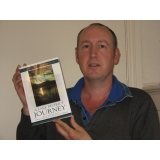 Bury Times, Lancashire Magazine, Westmorland Gazette, Cumbria Magazine, Lancashire Life - all reviewed or featured this book.